For more than 40 years we are helping meteorological services to get hold of their visions and make them real. Our mutual trust with our customers is helping us to be the best together. Our customers are becoming our friends, so we treat them that way too. Most of our software products are named with word “Weather” in their name, just like a family name. This symbolizes our connection with meteorology and also expresses that all our products can be integrated into a common meteorological service environment. All our product also fully comply with international meteorological standards. Comprehensive and integrated system covering wide range of weather forecasting tools, combining them into a single software. Automated meteorological switching system used for the routine distribution of WMO bulletins as well as for the Automatic File Distribution. Integrated system for reception, processing, and representation of meteorological data for purposes of flight briefing, featuring an easy production of pre-flight information bulletins. Flexible product catalogue management and publishing tool with unmatched data discovery possibilities. Turnkey solution for limited-area meteorological prediction models, consisting of a high performance computing hardware & modelling software tuned and configurated for operational use. Scalable AVAS/ATIS/VOLMET system, creating multiple audio outputs from incoming data. It gives you a warranty of compliance to ICAO Annex 3, including the Amendment 73. Web service module opens Visual Weather’s visualization and data processing capabilities to all Service-Oriented Architecture (SOA) frameworks. New approach to the task of the GTS quantitative monitoring. Officially supported by WMO/OMM, it is the best system available for the world-wide performing of the WMO/OMM monitoring programmes. 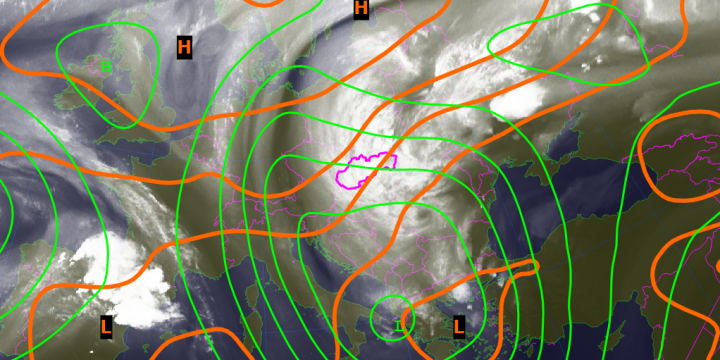 Cover need for fast, simple and reliable receiving system for EUMETCast/DWDSat and to easily obtain full advantage of extremely wide range of meteorological satellite products available from Meteosat Second Generation (MSG).